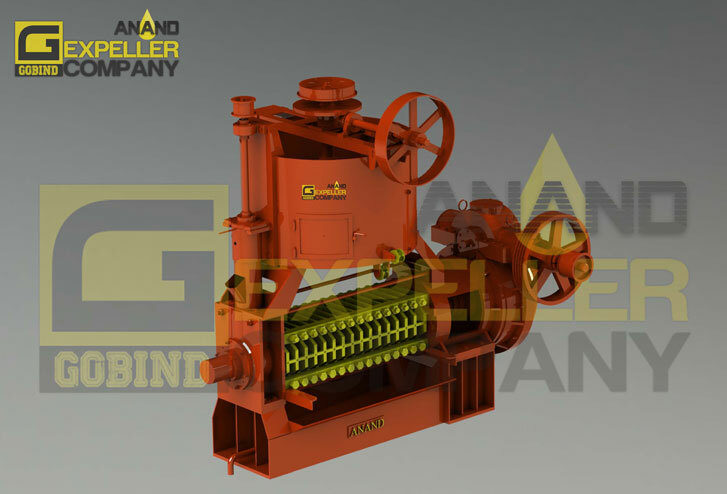 Our first basic & product: 'Anand Oil Expeller Press' is the most efficient, reliable & expeller available in the sub-continent. With vast experience of more than seven decades in serving oil mill industry, we have thorough knowledge of expelling oil most efficiently from the oil bearing seeds namely-cottonseed, ground nut (peanut), copra (coconut), mustard, canola (rapeseed), palm kernel, sunflower, castor, linseed, sesame, soybean, maize-germ, cashew nut-shell, walnut, sheanut, kardi, tumba, neem & other oil bearing seeds/nuts. High yield at low operating cost. High quality of both-oil & cakes. Minimal initial investment with durable quality. Longer life of wearable parts. Best results on all oil bearing seeds, nuts & beans. Fast & easy replacement parts. Manufacturing & assembling with high precision. Crammar system for optimum feeding. Appx. Length 72" 90" 105" 110" 120" 135"
Appx. Width 36" 60" 70" 75" 75" 85"
Appx. Height 66" 75" 110" 110" 110" 125"